Very few martial arts instructors seem to plan their class content. As someone who teaches around 25 classes per week, coming up with fresh content and ways to teach the same stuff again and again, without boredom setting in can be challenging – I’m sure you know what I mean. That’s why when I hit a home run with a particular format for a class; I’ll “reuse” that class for the rest of the day. For example let’s say that in my junior white belt class we worked on a particular set of drills to develop front kick and the class was a success, then in the next 3 classes on the same day, I’ll repeat the content of that first class with a new set of students, instead of trying to think of 3 more class plans. Of course the students are always different in terms of age and rank, so the actual drills might be tweaked slightly to be more challenging for higher ranks or older students, and toned down for younger kids or beginners. The point is that teaching is easy when you have a plan and know that it works. Classes run more smoothly, students don’t become bored and there is no “down time” from you or your class. So from here on out, when you teach a successful karate class, jot it down in your diary and reuse it again in the future. Either on the same day for a new set of students, or in a couple of months time when you’re struggling to think of what to teach, you can look in your diary and *presto* there’s a class you know is a guaranteed success. Last year I told you about Mike Massie, author of Small Dojo Big Profits, which shows you step by step how to set up a successful and profitable martial arts business without ripping off your students. It’s a must-have small business guide for the martial arts industry. Anyway, last week when I was chatting with Mike he told me about a new venture he’s just launched called “Martial Arts Business Daily” or MABD for short. Essentially it’s a martial arts news portal – complete with blog and newsfeed. There’s plenty of great content here that will help you in running your school and staying ahead of your competition. If you own a copy of Small Dojo Big Profits you know the quality of Mike’s work and the detail of his advice. MABD is no exception – he’s already posted dozens of articles full of helpful information for teachers and business owners. Heck, he surprised me by including one of my articles on his front page. Thanks Mike! Anyway, if you want to stay aware of industry trends, keep informed of what’s going on and get a ton of advice for running your karate school, visiting MABD regularly is a good habit to acquire. “Sensei, I don’t feel very good. I feel really lightheaded and I’m finding it hard to focus”, said Sophie. She started to sway like a willow tree in a strong wind. Then her eyes rolled back in her head and her legs buckled beneath her. I reached out to stop her from falling, and although I had hold of one arm, I was too late to stop it from happening. I bent down to assist her. Her face was as pale as a ghost. Clearly she had fainted and there was a lack of blood to her head. Right away I turned her on her back and raised her legs while asking her to open her eyes. Her eyelids flickered, then opened. I let her lay there until she was ready to sit up. At that stage I gave her some PowerAde and asked her to breathe and try to calm down and try to relax, as she started to panic about what had just happened. A few minutes later her mother and I helped her up and sat her down outside in the fresh air. If you’re teaching class it’s critical that you have some basic first aid training so you know what to do in a situation like the one described above. First aid courses are relatively inexpensive to attend and as an instructor or assistant instructor you should familiarize yourself with the basics. If you’re the owner of your school, it’s a worthwhile investment to have you and your assistant instructors trained in the basics of first aid. If you’re an assistant instructor without first aid training, and are just “helping out your sensei”, ask them about making a group booking for you and the other instructors. It’s a great life long skill for you to possess. I can also tell you right now that your sensei doesn’t want to be held accountable for accidental mismanagement of an injured student, so it’s in their best interest to have you trained. Many communities offer basic first aid training (one day course) at discount rates through the local community center. 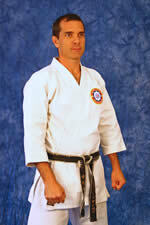 Put safety first, get certified and add credibility to your martial arts school.